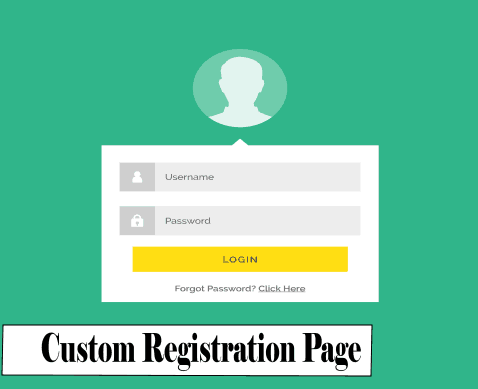 Do you want to show a custom registration page for users in WordPress? If yes, you have landed in the right place. You might enable registration for your users to sign up. As we know, WordPress has its own default signup form. But it is ugly? Why? Because it contains WordPress Logo and hasn’t much style. So today we are going to learn how to create a one for your own website. Let us get started. WordPress comes with lots of plugins which can help you in building a great looking page. But we don’t prefer over them because they overload the site. Also, there are many plugins which can help you in dropping your signup page anywhere. But we will manually create a signup form for our WordPress website. Let’s start. The first is to navigate themes folder. If you are running a child theme, then navigate to it. If using only parent theme, then navigate to its folders. There we will create a file named as,signup.php inside it, we will add this code. 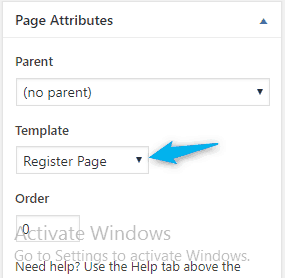 // Default page shows register form. $error = 2; // We will check for this variable before showing the sign up form. Now we will create a page for our registration form. Navigate to Pages>>Add New and name it as Register. Then we will set it a template Register. And publish the page. Enjoy using new signup page for your WordPress powered website. Add some styling to it and make it more useful and clearer. Hope you loved our tutorial and if so then please show some love by sharing the tutorial. Please have your valuable questions and suggestions in the comment box. Hi there, nice tutorial. Please activate Windows. Hey, Thank you for sharing. great tutorial, was able to create a Register page using above code. Will update CSS to me it look stunning. Any tutorial on Log in page? Thank You Riyaz for your kind words. thanks for your nice tutorial and let me know i am having this kind of issue Registration is currently disabled. Please try again later. You have to enable it from settings. Go to Settings>>General and check the box “Anyone Can Register”. thanks for prompt reply.it’s working fine but it does show username exist already issue even i changed new user too. Will you please share website URL where you are applying the code. Also, please double check you aren’t using same email and username. However, the code is working fine. No issue found. thanks again for your prompt and kind info about the issue.now everything is working fine. You can use social media login with this code using their APIs. It is long process so I can’t share with you in comment section but soon I will write a tutorial on it. I have another one doubt how to change the wordpress name as my site name in the registeration successfully notification in my mail. Please use support section to get answer of all queries. How can i get the support section link?